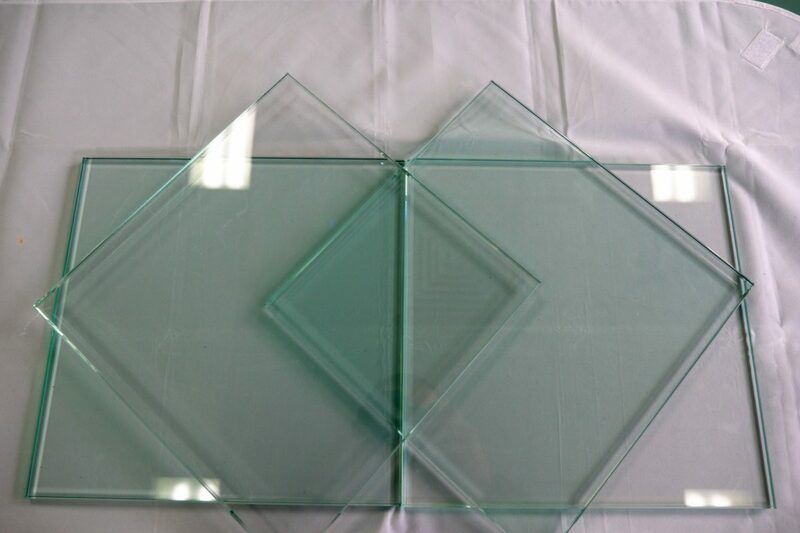 Clear glass is one of the most common and versatile glass products on the market today. Its use and application are limitless offering high optical clarity and brightness to compliment any setting. The style and sophistication of clear glass often goes unnoticed, but without it our modern way of life would be so different. 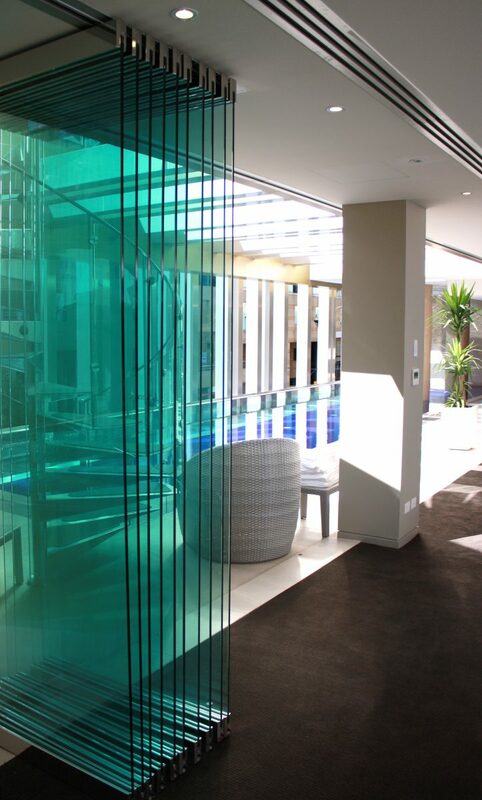 Whether it’s keeping us out of harm’s way, protecting us from the elements or providing an aesthetically pleasing façade, clear glass will always be an integral part of our lives. 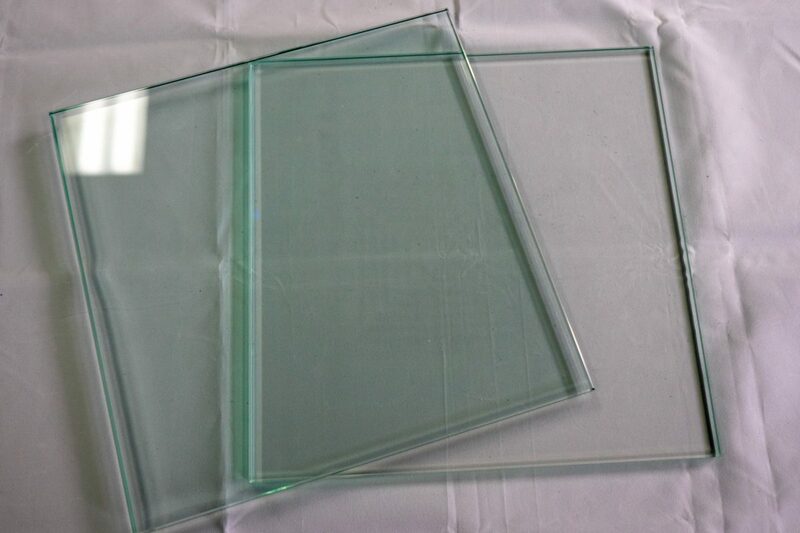 Low Iron Glass (Crystal Clear) is an alternative glass to standard clear glass. 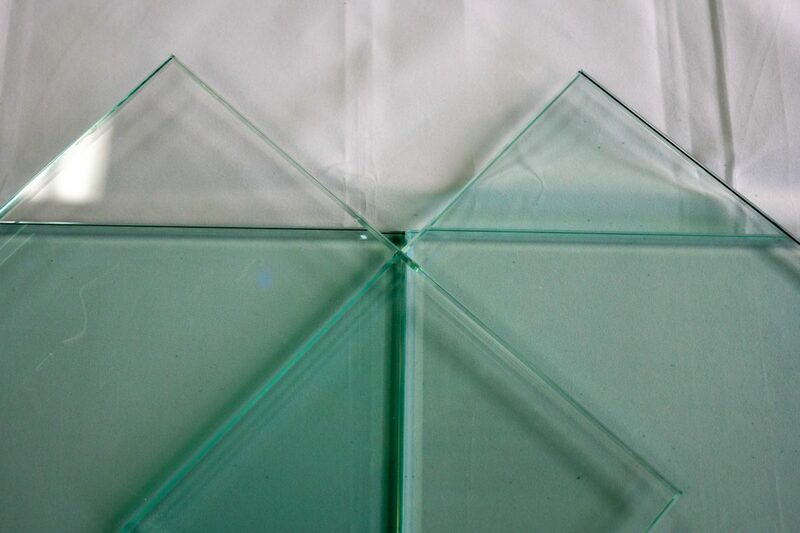 Standard Clear Glass has a relatively high content of iron, as a result of this the glass can have a very distinctive green tinge. This green tinge is even more apparent when you look at the edges of the glass. Crystal Clear is a glass that has a much lower level of iron that Standard Clear Glass, which gives a much more clearer look to the glass. The green tinge is almost completely removed. The most used application for Low Iron Glass is in Splashbacks. 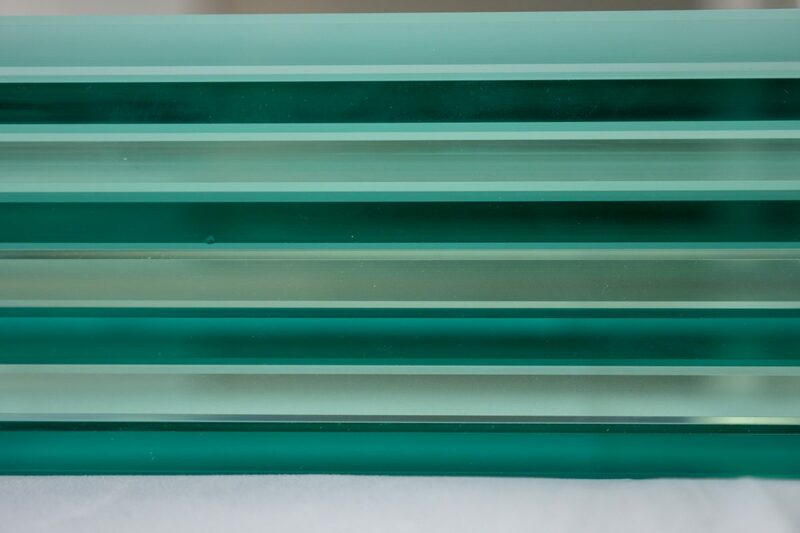 This is essential as you are looking through the glass at the paint and the high iron (green tinge) of clear glass can really spoil the end result. Crystal Clear in a Splashback allows you to see truer colour of the paint beneath. As well as Splashbacks, FGS Glass also supply considerable amounts of 10/12mm Crystal Clear Glass into Showers and Pool Fencing/Balustrades. Quite often we spend a considerable amount of money on tiles in our showers. We spend a lot of time picking the exact colour and shade. 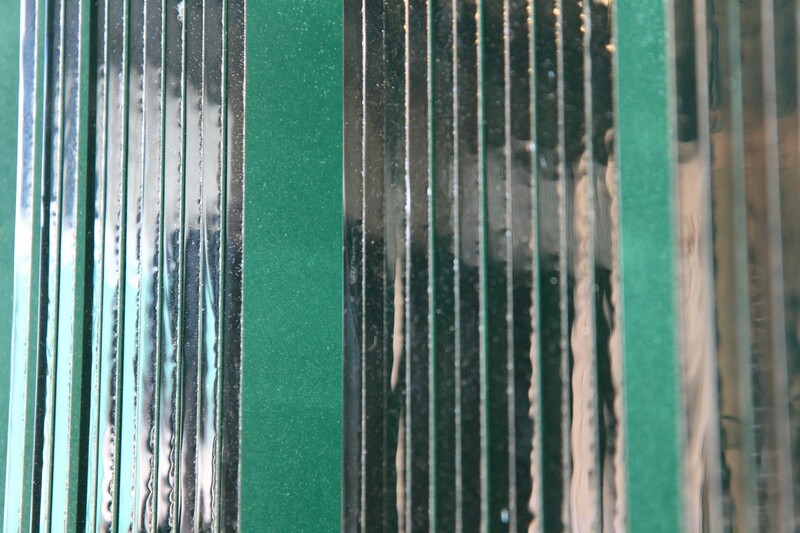 We then typically install high iron clear glass that has the green tinge, all of a sudden the effect you were trying to create in the Bathroom is lost. Crystal Clear Showers allow the true colour of the Shower enclosure to shine through. This is even more evident if you have installed white tiles. White tiles in a Crystal Clear Shower look white, white tiles in a Standard Clear Shower look green. The same can be said for your Pool Fence or Balustrade, especially if you have a beautiful view. The green tinge of the Clear Glass can detract from the view you was hoping for. 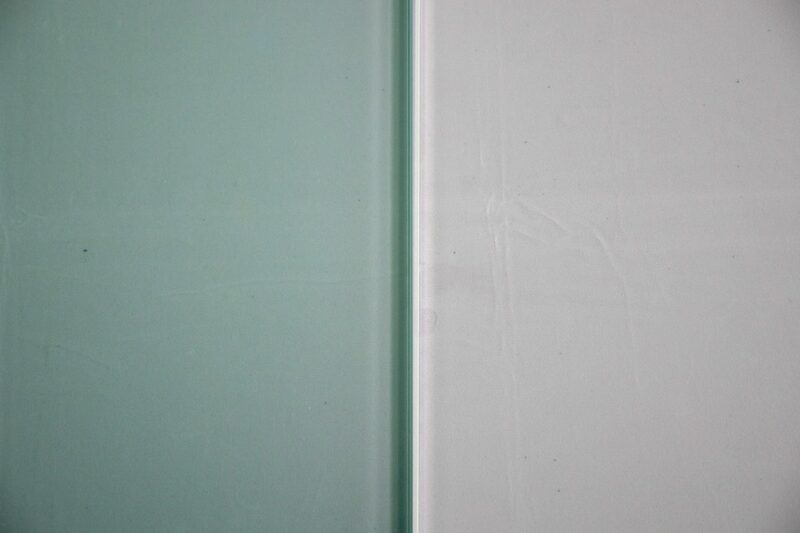 Even the edge of the glass can distract, look at the photos below to see the difference in the edge colours. The cost difference for the glass only, will be approx 40-60% but this is a relatively lesser amount of the overall fully installed price.